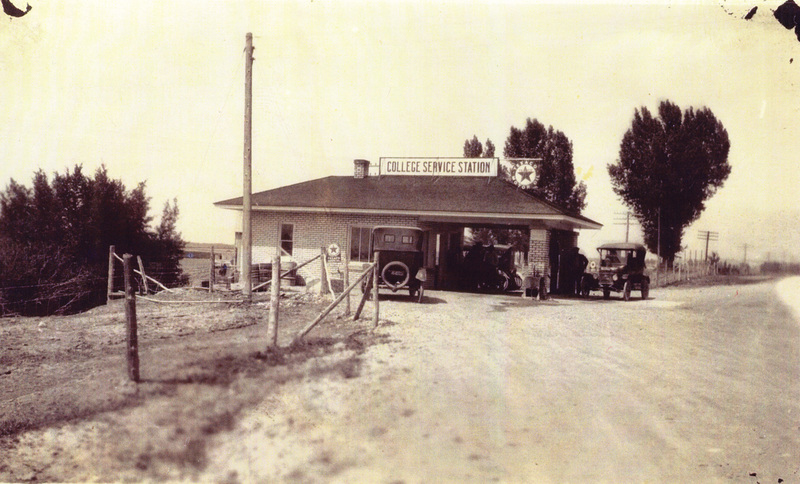 My great-grandpa Hansen opened the very first automotive service station in northern Utah’s Cache Valley in 1923. The automotive industry has always been in my blood. 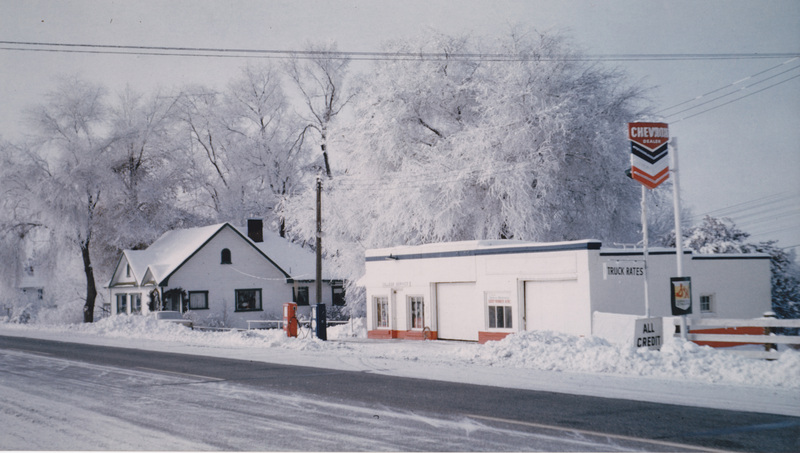 At one time Grandpa Hansen sold Texaco oils. And at some point, his station sold Chevron brand. 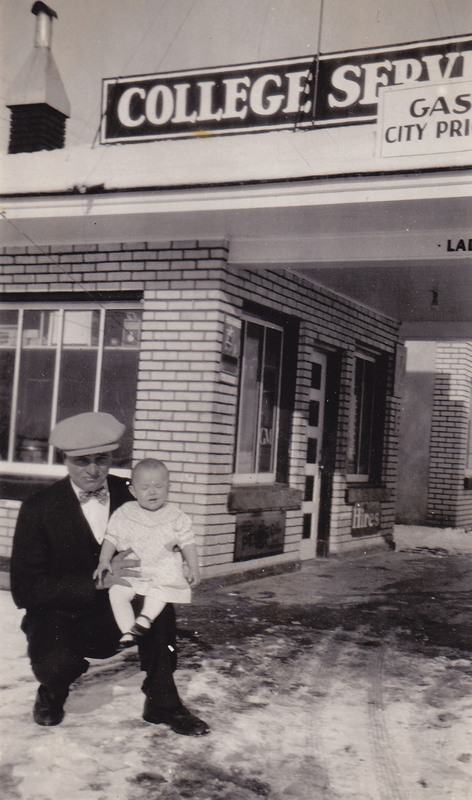 Great-Grandpa Hansen is pictured here with my grandmother as a baby in January 1931. 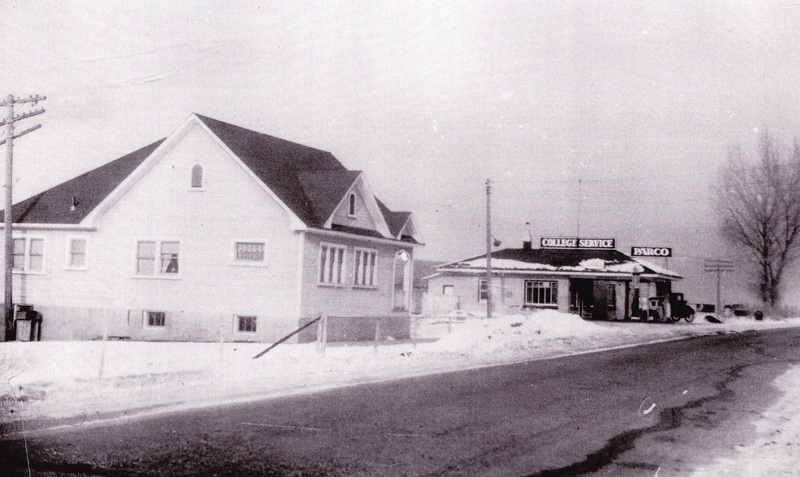 Grandpa ran the station until Labor Day 1967 when he retired and sold the building. His 40+ years in the fuel service industry ingrained in my family a love for the automobile. 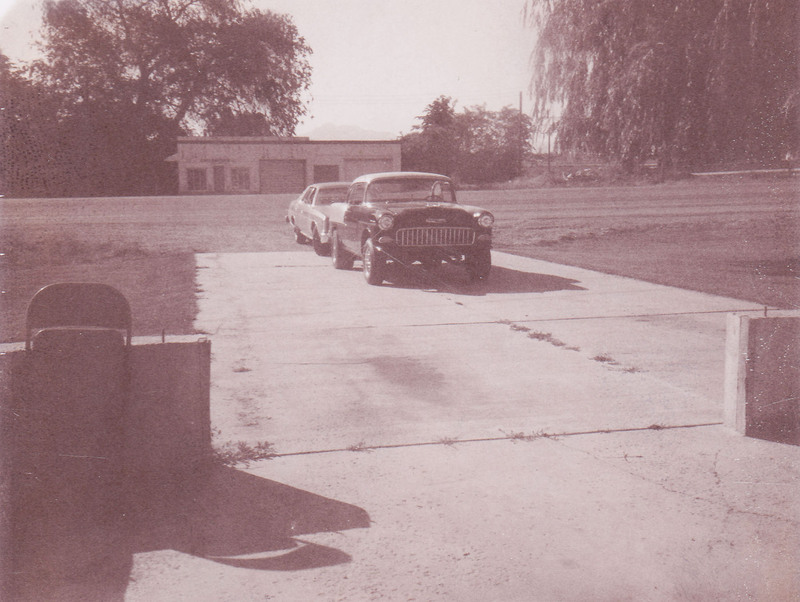 The station is seen in the background here, with my uncle Jeff’s 1955 Chevy in the foreground. This is a fun movie ticket that we have as a reminder of what it was like to spend $0.15 to go to a movie. 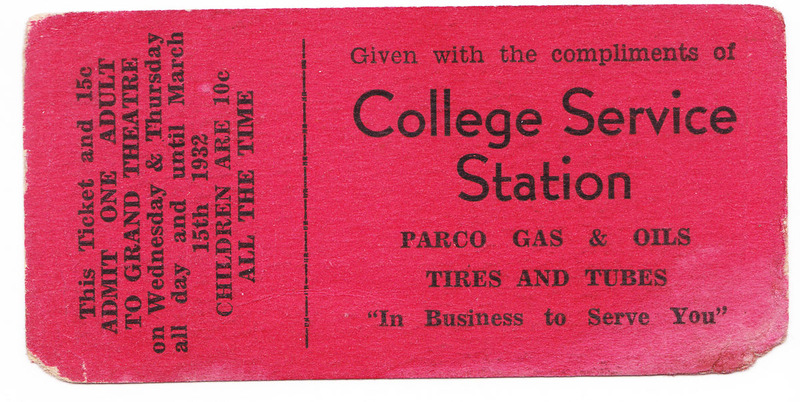 Notice the expiration date was March 15th, 1932. I would’ve loved to explore his service station. It’s since been bulldozed. Eighty years later, I’m still supporting the motor oil industry but as a consumer rather than a vendor. The oil and filter in this car have been changed 161 times. As seen in my maintenance spreadsheet, I’ve stuck with a 3,000 mile interval for my entire ownership of the car, even if it means having the oil changed mid-cross-country-trip. For this reason, my car’s been in dealership service bays as far east as Princeton, New Jersey, as far west as Fife, Washington, as far south as Austin, Texas, and as far north as Fairbanks, Alaska. I’ve got every corner of the country pretty much covered. The Owner’s Manual to my Legend calls for an oil & filter change every 7,500 miles. There’s an accompanying sticker on the airbox in the engine bay that says the same thing. 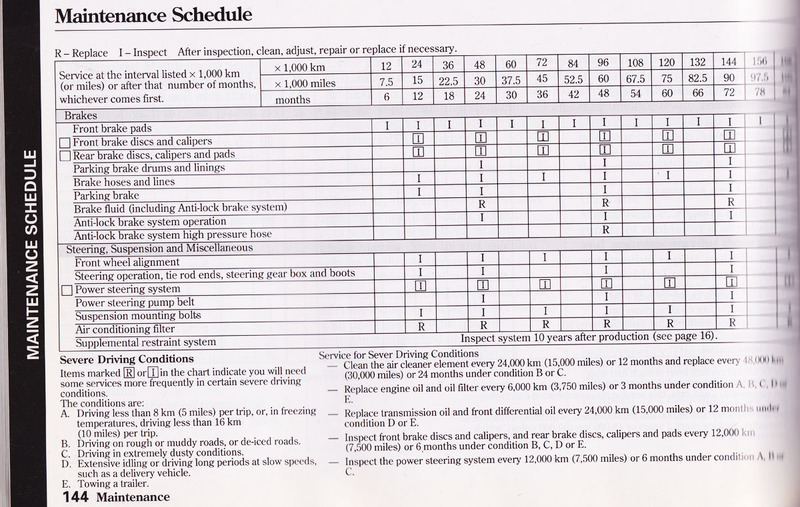 However, a footnote to the Maintenance Schedule section on page 144 also indicates that “severe driving conditions” warrant a more frequent change. 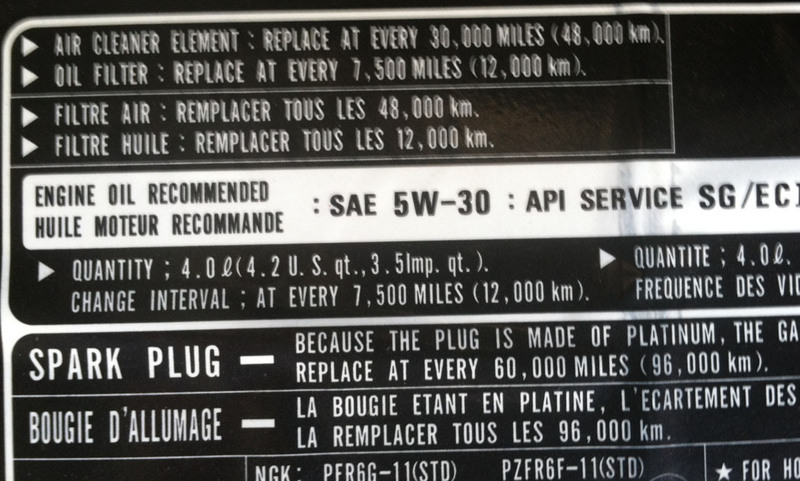 In such cases, the oil change interval is shortened to every 3,750 miles. I consider Arizona driving conditions about as severe as they get. 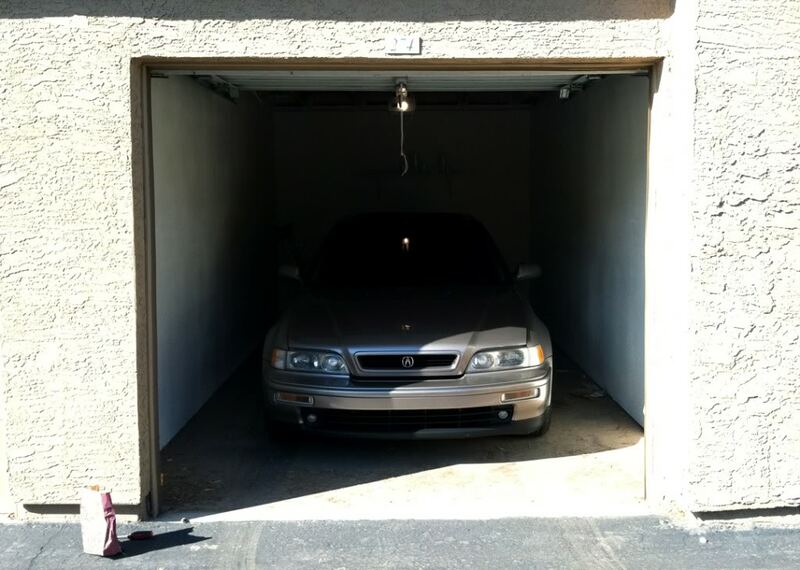 My other Legend, the 4-door sedan GS 6-speed, is in storage with the battery disconnected. It gets driven every 2-3 weeks for varying distances. However, the mileage takes awhile to accumulate. Case in point: Between October 17, 2012 and April 15, 2013 (6 months’ time), the car was only driven 278 miles. But, I still have the oil changed every 6 months regardless of mileage driven. 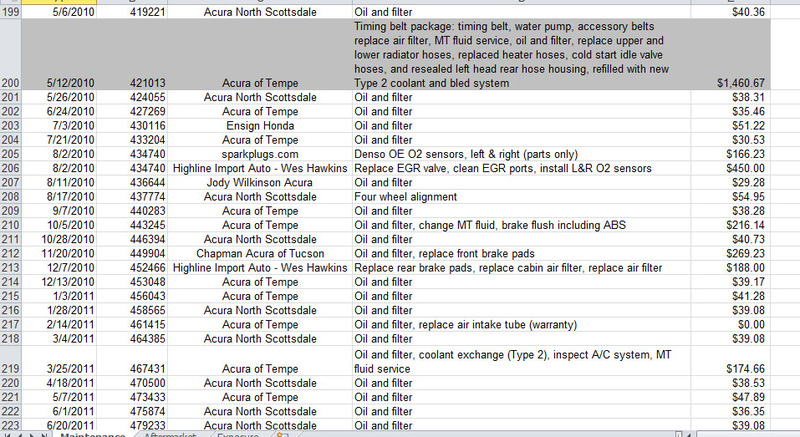 My ILX, at 19 model years newer than the Legend, asks for a vastly different approach to oil maintenance. The car comes with 0W20 oil. Is this oil conventional or synthetic? It depends on who you’re asking. I’ve googled this endlessly and seen various types of responses. One commenter even stated that he knew of three distinct versions of Honda 0W20 oil! 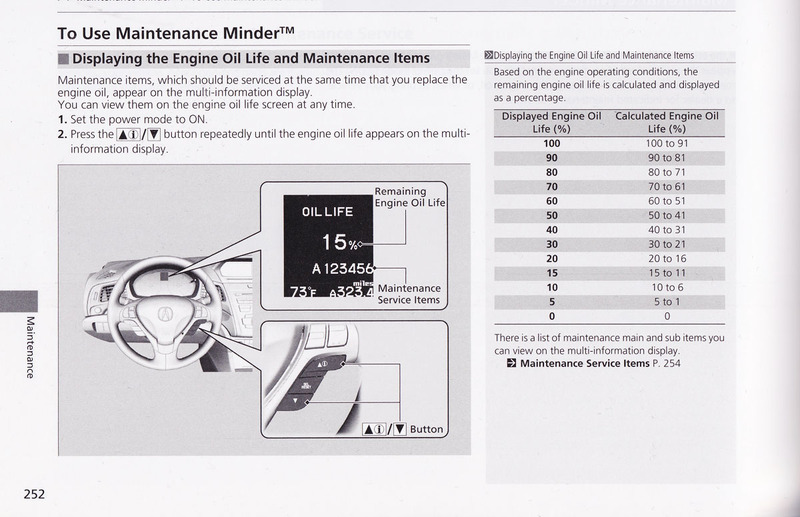 As for the oil change interval, the ILX owner’s manual throws out the notion of mileage-based changes entirely. 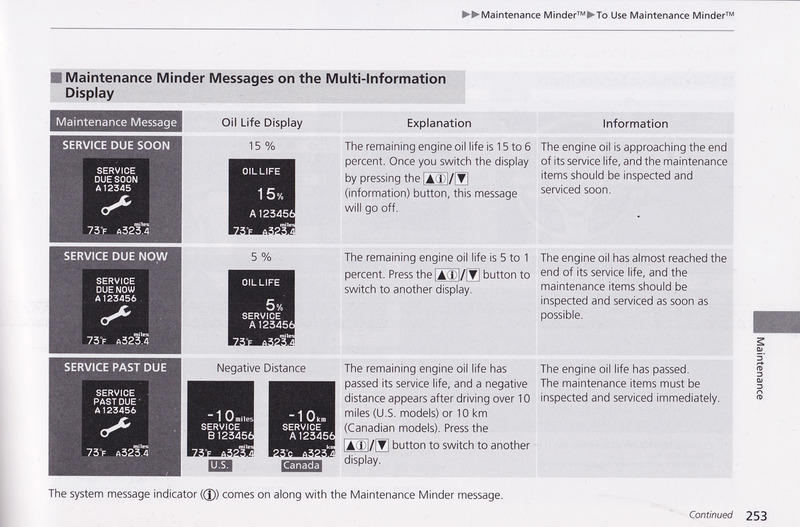 Instead, the driver is asked to schedule maintenance based on a computer readout in the middle of the instrument cluster called the “Maintenance Minder.” I can get to my Maintenance Minder by toggling through a few other screens (mpg, estimated range, etc). It reads out as a percentage. On a fresh oil change, it’s reset to 100% oil life remaining. When I got the ILX, I was told, “Schedule your oil change when it hits 15%.” Well, I had gotten to 5,000 miles and it still said 50%! As someone who has clung to 3,000 mile changes my whole life, the idea of continuing to push the car to 2 or 3 times that mileage seemed absurd. I went ahead and had it changed at 5,000 miles, and I’ve stuck to that interval ever since. Is it wasteful and unnecessary? Probably. But it works for me. I can easily keep track of when the car’s due for service. And I don’t mind enjoying the Customer Lounge amenities at my local dealership frequently. We’ll see if my technique gets me to 500,000 miles in the ILX or not. I’m curious what my readers think. Weigh in on the comments section: When do you get your oil changed? 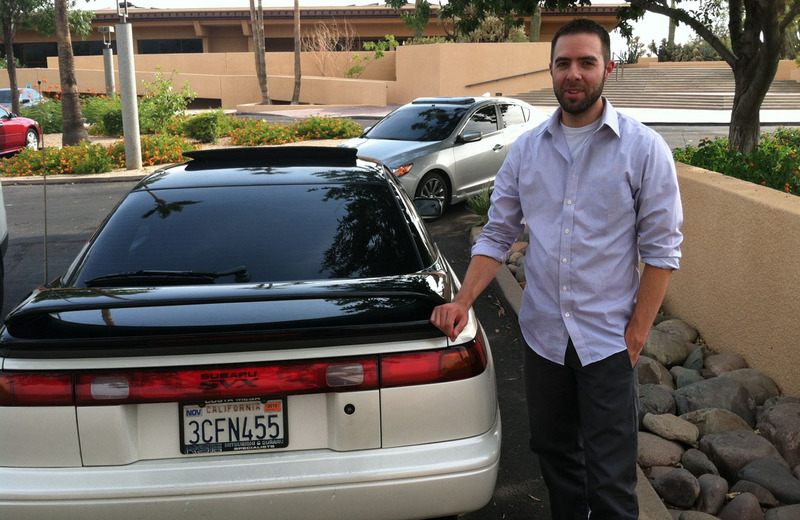 On Monday night, I met up with my friend Armando who has a super clean pearl white 1992 Subaru SVX. 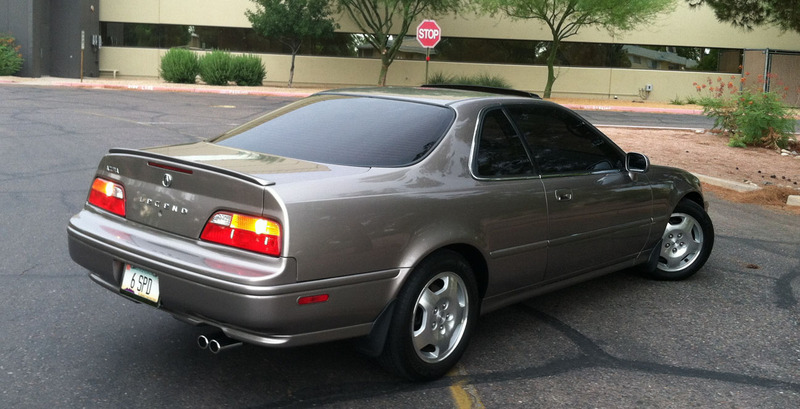 This is Armando’s second SVX. You all met the first one back in May. It was good to catch up with him. I’ve always thought this was a cool design, especially in the black and white two-tone like Armando has. At around 180,000 miles, he’s just getting broken in. 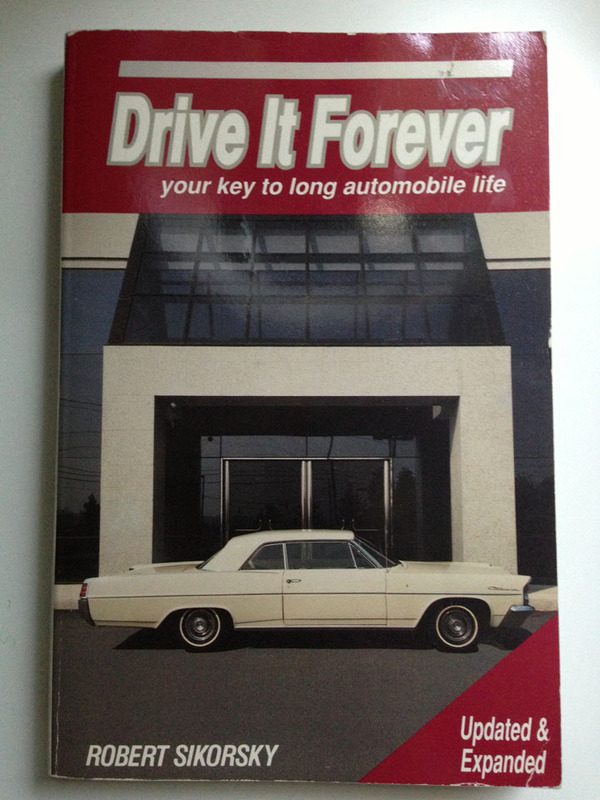 I wanted to share another classic car of yesteryear with the blog today as well. 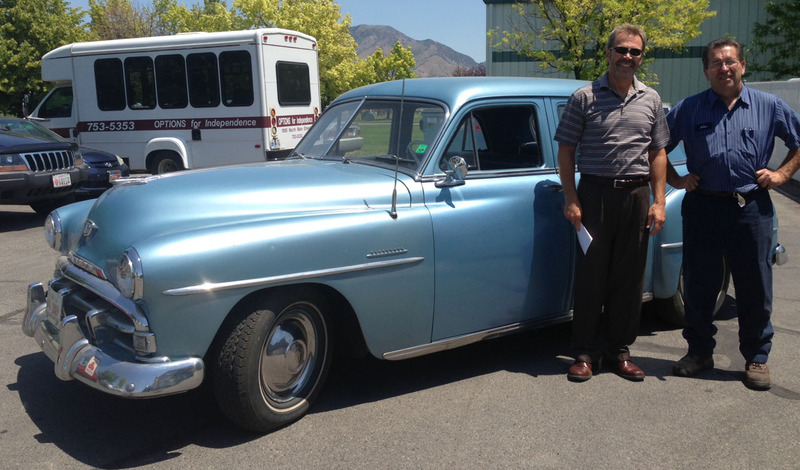 This is my step-dad’s 1951 Plymouth Cranbrook Sedan. He’s owned it for over 35 years. This beauty has a 3-speed manual transmission on the steering column. I’m going to take it for a spin when I visit northern Utah later this week. The ILX and I are off to Logan, Utah to escape the Phoenix heat for a few days. This Plymouth is up for grabs for $3,800 if anyone out there is interested. In closing, I visited a friend who had this sitting on her bookshelf. Published in 1983, I wonder how many of the techniques in there would still apply for today’s vehicles? I’ll have to order myself a copy and read up! Have a safe and enjoyable holiday. This entry was posted on July 2, 2013 at 6:50 pm and is filed under Legend, Maintenance. You can follow any responses to this entry through the RSS 2.0 feed. You can leave a response, or trackback from your own site. Hey Tyson- yes the age old question on oil. You can probably spend a week straight reading website forums on different opinions, but I don’t think anyone can argue with your religious oil change schedule on the legend. With conventional motor oil nowadays 5k miles seems fine. I believe most fleet companies go with this. Similar to your GS, as you know my legends get limited usage of around 1500 miles a year. I use Full synthetic oil and change it every 12 months or so. When I had Blackstone labs do an analysis they suggested changing it every 18 months since it is synthetic but I would rather stick to closer to 12 months. Marc, thanks for commenting – I’m glad that you did! I know you have done your fair share of research on this topic. I should include a link to my Blackstone analyses in this post. I was thinking I should probably submit for another one (this would be my 4th). Your technique sounds very reasonable for maintenance on your Legends. What kind of synthetic are you running? Mobil 1? Mobil 1 indeed. I have actually been in ExxonMobil’s labs in south NJ where they developed Mobil 1. Not that it has any beari g on me using it :). I do recall reading an article on oil tests that rated Motorcraft synthetic blend was as one of the best oils. I also use Mobil 1 in my “daily driver” ’02 TL-s and our Yukon and change it about every 5k miles in those vehicles. 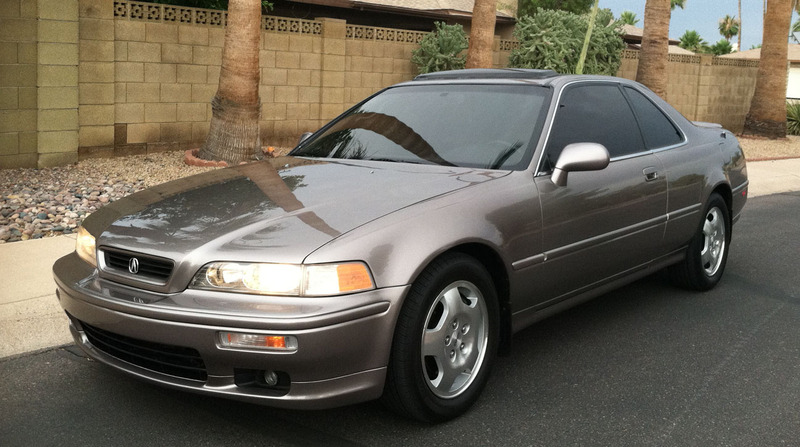 When I had my ’93 accord SE I used to use Castrol Syntec for years and it seemed to do a fine job as well. I have yet to dive in and get my oil analyzed. Maybe I’m scared to! I too stick with “dino” oil for my Legends. I was told a long time ago why switch to syn. if its not needed. As a matter of fact I just had the oil changed in my GS 6MT a few weeks back and that car doesn’t get out much either. Thanks for the feedback, Dave. I didn’t know you were running ‘dino’ oil in your Legends, too. By the time I discovered synthetic, my coupe already had a couple hundred thousand miles on it and I was told “Don’t switch it now.” Since the motor was accustomed to regular 5W30, I just decided to keep rolling it on that. No regrets here. Glad to hear you’re keeping up on the maintenance on Sixer. Hopefully you’re getting some good weather up there in the PNW for weekend drives. Sometime ago I jumped on the Mobil 1 bandwagon. I’m not a fan of Walmart, but they sell the five quart jug of it for $22.47 and that’s only $4.50 a quart. With my Legend, it gets changed twice a year regardless of how many miles I put on it. I know that it will get a fresh five quarts before NALM in August. On average, Kevin, how many miles DO you drive the Old War Horse each year? I know you’ve taken a trip from ATL-MSP from time to time (or do you usually take the CR-V on longer trips like that?). Leave it to you… to write a ditty about oil changes and make it interesting! Nice work! Hey, thanks fer readin! I sure am enjoying some of your weather up here in northern Utah — I think I’ll take some back to PHX with me. Hope you and Spouse and Yahoos has a great Farth! Thanks Jason! Yeah the extended weekend is going well – I see that you’ve posted write-ups for 3 of your 4 trip days to the west coast already, so I’m going to jet over to DrivenforDrives.WordPress.com to check those out very soon. Hope you’ve had a chance to wash all those bugs off by now!